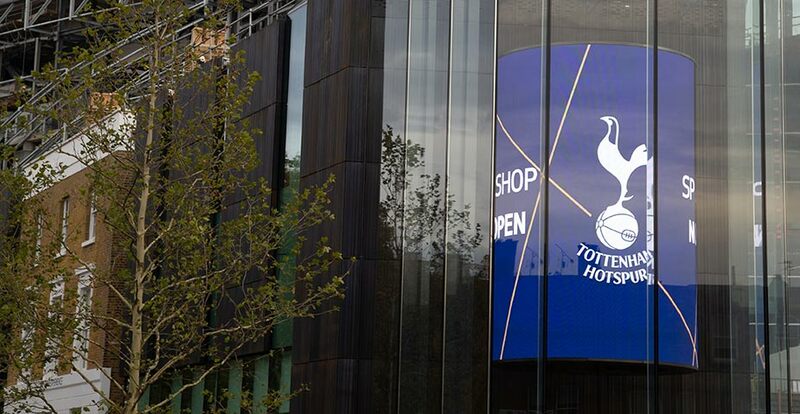 Tottenham and its architects have used technology to provide the visual architecture of the new stadium, partnering with Daktronics for LED displays in and around the building, for a complete street-to-seat visitor experience. The East and West Atriums, Tottenham Experience, Paxton House, Auditorium and external wayfinding locations have all received LED displays. This installation is in addition to the previous project announced in 2018 for main video and ribbon displays around the stadium. “These market-leading displays support our commitment to delivering an unrivaled fan experience, helping to engage fans from the moment they arrive at our new home,” said Tottenham Hotspur Director of Operations Matthew Collecott. Paxton House, the Club’s ticket office, includes two long, narrow displays featuring 6-millimeter line spacing above ticket windows to inform visitors of availability and open sales windows for ease of purchasing their tickets while the Tottenham Experience boasts a new curved LED video display featuring 8-millimeter line spacing to showcase branded content. 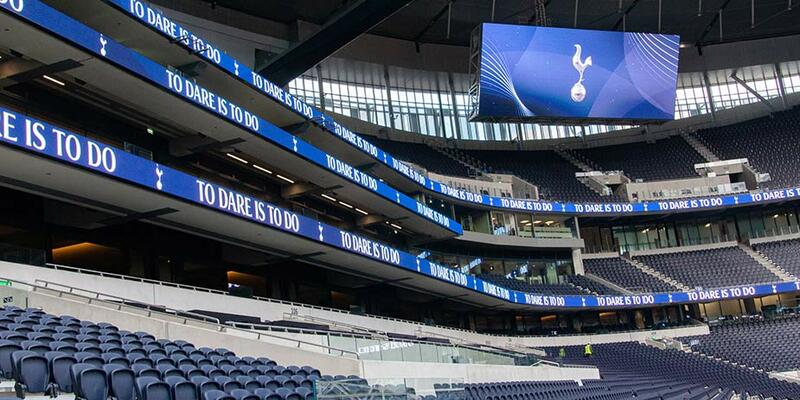 “Immediately upon entering Tottenham Hotspur Stadium, you are welcomed with a wall of video targeted specifically for the fans and programmed to kick off the excitement that awaits them inside the bowl,” said Pete Egart, vice president of Europe, Middle East and Africa markets for Daktronics. The stadium’s auditorium display will afford the club the flexibility to use the space as a multi-purpose facility for events such as press conferences, presentations and private screenings.